When we last left the Winnipeg Jets, they were about to embark on a critical three game home stand that would most likely determine whether they would make the playoffs or not. There were many questions surrounding the Jets prior to the critical stretch of home games. Could the Jets pull closer to that elusive second wildcard spot? 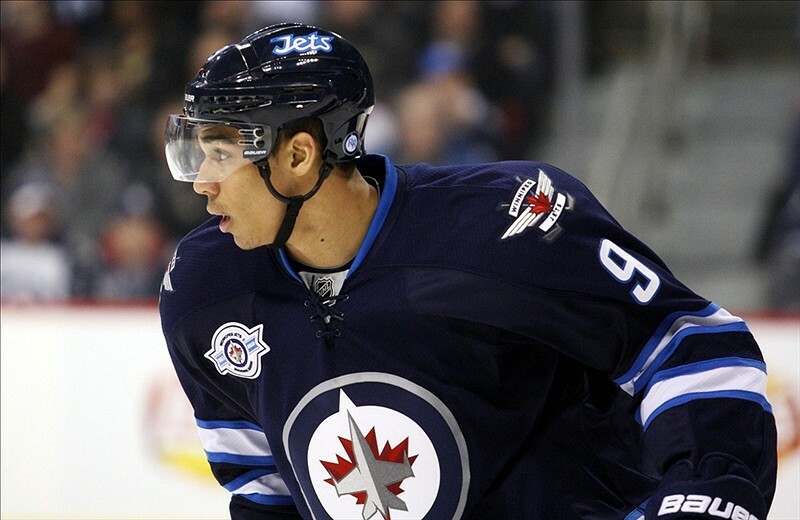 Would Evander Kane snap his goal scoring drought that had stretched back to January 21 against Anaheim? Would Dustin Byfuglien continue his excellent play at forward? Could the team overcome the loss of Mark Scheifele, who is sidelined from 6-8 weeks with an MCL injury? There was no love for members of the Vancouver Canucks who once called Winnipeg home. In particular, Alexandre Burrows scored his first two goals of the season while being his usual antagonistic self, chirping the Jets bench and using his stick to jab, poke and annoy the members of the home team. Once a hero with the Manitoba Moose, Burrows was playing the role of the dastardly villain inside the MTS Centre, as the Canucks recorded a shootout victory over the Jets. It was a difficult pill to swallow for the Jets, as the Canucks were coming off a horrendous defeat to the New York Islanders, in which Vancouver conceded 7 goals in the third period. The Jets knew their backs were against the wall. The New York Rangers were next on the docket and the Jets knew they needed this game in the worst way. The problem was, Henrik Lundqvist decided to play king of the ice. After a shaky start in which the Swedish goalie gave up two early first period goals, King Henrik settled down and made timely save after timely save to keep the Rangers in the game. The Jets had their own goalie issues, as Ondrej Pavelec left the game after the first period with a lower body injury. Al Montoya started the second period between the pipes for the Jets, and tried to match Lundqvist save for save. But Carl Hagelin had other ideas, as he recorded a hat-trick as the Rangers doubled the Jets 4-2. The playoff hopes were fading fast for the Jets as the team they were trying to catch, were coming into town for the most important game of the year. If Jets fans were looking for a team to hate, they may have found one in the St. Louis Blues. The two Central Division rivals squared off in a physical, nasty game that saw the Blues emerge with a 3-1 victory. The game featured 116 penalty minutes as a brawl at the end of the game ignited some bad blood between the two teams. Maxim Lapierre was at his belligerent best as he successfully got under the skin of many a Jet player. Olli Jokinen was the victim of Lapierre’s pugnacious actions as the Finnish forward was pinned down by Lapierre, during the brawl. While the loss was tough to take for the Jets as their loss combined with a victory by the Phoenix Coyotes, dropped the Jets six points behind the Desert Dogs, who overtook Dallas for the final wildcard spot. Do the Jets have one last push in them to reach the playoffs? Will Ondrej Pavelec take back his number one starting job once he returns from injury? Will Paul Maurice stay with the Jets next season? Have the Jets finally found a rivalry that the fans can get behind? Will the team grow from this experience? Will general manager Kevin Cheveldayoff make the necessary moves in the offseason to make this team a contender? These questions and many more will be answered in the next continuing episode of The Jets Of Our Lives.